Staying healthy and fit can be a difficult goal for many people. Whether you are trying to lose weight for your overall health or you simply want to look and feel like the best version of yourself, there are several methods and plans you can use to achieve this goal. Intermittent fasting is the practice of only eating at specific times during the day and is designed to help your metabolism burn more fat. It has been shown to help you lose weight and can lead to several positive outcomes including increased longevity. But can drinking coffee, a common daily practice by most adults, affect intermittent fasting? To understand the benefits of intermittent fasting and how it works, we first need to understand how the body uses different macronutrients for fuel and energy. The major nutrients come in the form of fats, carbohydrates, and protein. The organs primarily responsible for producing and utilizing these nutrients are the liver and muscle. After we eat a meal, most macronutrients are shunted toward the liver where they are either stored or repackaged and sent to different organs in the body. Carbohydrates are typically stored as glycogen in the liver. If we consume an excess of carbohydrates, they will be converted to fat and stored in fat cells where they will serve as an energy source for future use. During fasting, our body first uses the carbohydrates stored in the liver as an energy source, then it switches and starts oxidizing the fat we have stored for energy. Intermittent fasting relies on the practice of only eating during a certain window of time. For example, you may go 12-18 hours fasting in order for your body to begin burning your stored fat. Some people eat only in an eight-hour time period, while others choose a shorter window like four hours. There are several examples and schedules you can choose from. How can coffee impact your intermittent fasting? Although intermittent fasting can be great for weight lost and for boosting your metabolism, it might be difficult for some people to skip meals and deal with some of the challenges of trying to fast for a long period of time. Coffee can be a great tool to help you overcome some of these challenges. You may feel incredibly hungry while your body adjusts to a new eating schedule and your energy levels may also feel very low because you are not consuming any nutrients. Coffee has been shown to suppress appetite and provide a boost of energy making it a great drink to consume before and during your fast. It also has very few calories, so drinking coffee should not cause a release of hormones that signal that you are fed, such as insulin. Insulin, signals to the body that you are fed so you will want to avoid consuming anything that will cause a release and elevate levels of insulin. Since a major goal of intermittent fasting is to burn the fat you have stored, coffee can help you because it has been shown to increase the availability of fats in your body. Coffee will allow these fats to be more readily available so they can be burned and oxidized throughout your fast. This will also help with your energy levels if you are struggling throughout the day, since coffee can also make you feel more alert and awake. Since food is often linked to our mood or the way we feel, skipping meals may upset you or make you feel less happy. Coffee has been shown to improve a person’s mood and it can also help you work out harder and longer. This may remedy the lower energy often felt with exercising and fasting. Collectively, coffee is a good supplement to your intermittent fasting plan. But, is there a certain way it should be prepared to be compatible with your fast? Coffee can be served and prepared in many different ways, but it is important to prepare your coffee so it is compatible with your fasting plan. 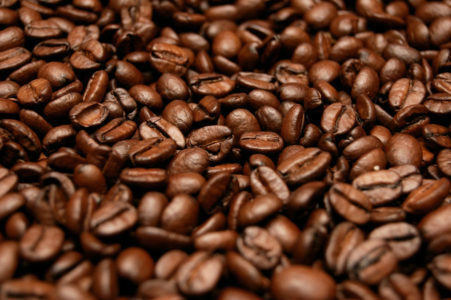 Coffee can come in various types of roasts and beans. Most coffee can be classified as either Arabica or Robusta beans. Arabica beans are usually higher quality beans that are more flavorful and aromatic. Coffee is also classified by the degree of roasting, ranging from dark to light. Dark roasts tend to be more intense in taste but contain less caffeine per cup. Many people will add sugar or cream to enhance its taste but if you are fasting you should limit these additives as they contain high amounts of sugar and fats and may break your fast. If you are feeling extra tired and are experiencing lower energy levels you may want to choose a lighter roast since they typically contain more caffeine per cup. Although coffee can be a great way to start and maintain your fast, you should try to avoid it if you are breaking your fast right before bedtime. Consuming too much coffee will cause you to stay awake and may interfere with your ability to sleep. You should also avoid food such tea, alcohol, pizza, fried and spicy foods. Also, try to limit your liquid volume intake so that you do not have to use the bathroom in the middle of the night. These tips, combined with consuming healthy foods such as fruit and vegetables, will maximize your quality of sleep. Intermittent fasting can be extremely beneficial for helping you stay healthy, while trying lose weight or body fat. Coffee is a simple way to help you stick to a fasting schedule when used appropriately. You should choose a coffee based on your taste preference and try to avoid adding any sugar or cream as these items might inadvertently break your fast. When used appropriately, coffee can improve your mood, curve your appetite and ultimately help you be more successful with your intermittent fasting. So, if you have been struggling through your intermittent fasting plan, try adding a cup of coffee to your plan. Sarah started We Dream of Coffee because she discovered that there is more to the drink that just a morning pick me up. Learn more about its benefits on her blog. i think coffee is a must during intermittent fasting. it will keep the tummy slightly satisfied and boost your metabolism and ultimately increasing fat loss. Coffee raises blood pressure and heart rate, which results in more kcal burned while the effect lasts. Fact. Therefore adding coffee to intermittent fasting is increasing the pace at which you lose body fat. I try and do a 20 hour fast once per week. It was difficult at first and having coffee a few times throughout the fast definitely helped. I started to incorporate black tea and it has made the longer fast times tolerable. IF is a special diet. One thing i want to know is that what is the best time for doing workout if i am doing IF diet? can you please help me out. over all this article is worth reading it attracts me to read ths. Good Article, i never knew about having coffee during intermittent fasting . Thanks for such a nice piece of content.